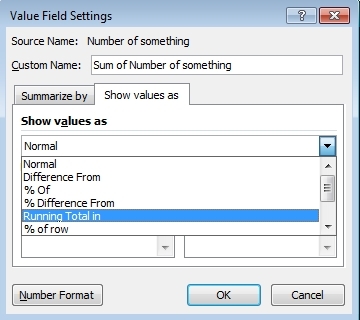 Creating running total is easy and simple if you use a Pivot Table. I show you an example with a few steps, video guide is included. We have several people who collect some points. The task is to show and analyze how they gradually accumulate the points. 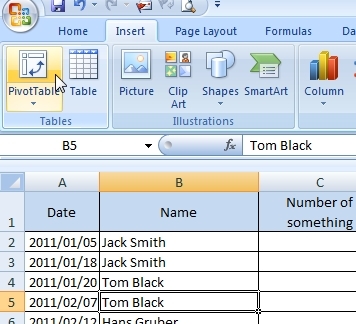 Click on to the source data and go to the menu Insert >> PivotTable. 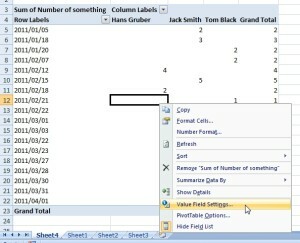 Check the Table/Range field and choose where will be the Pivot Table placed. 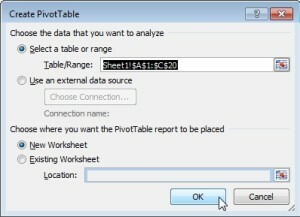 Confirm the Create PivotTable dialog. Points (Number of someth.) to Values. If the PivotTable Field List is not displayed, go to the PivotTable Tools menu >> Options >> Field List (on Show/Hide). 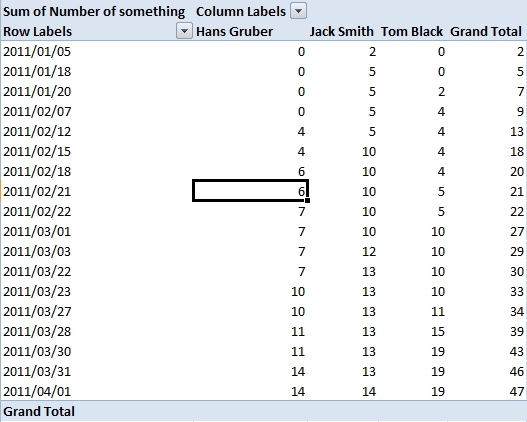 Pivot Table should look like this. 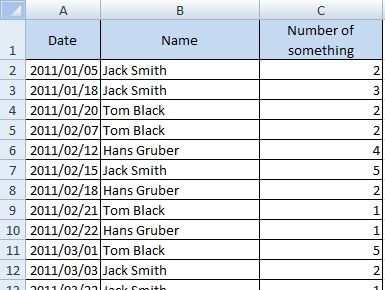 It shows sum of points (Number of something) for each date and person. Go to the card Show values as and select Running Total in. Keep Date as Base field. 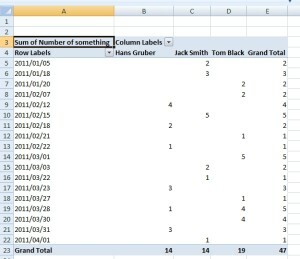 Now, the Pivot Table shows running total in dates for each person. 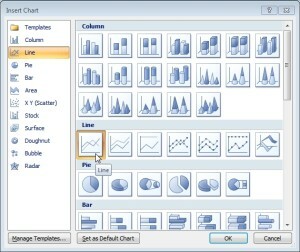 Click on the Pivot Table and go to the PivotTable Tools menu and select PivotChart. 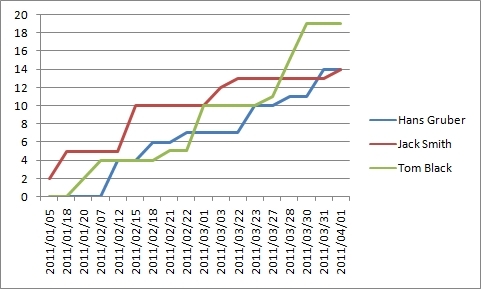 Final Line Chart looks like that.